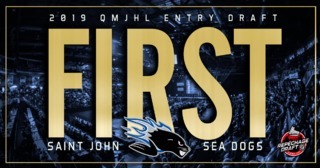 The Saint John Sea Dogs dropped to 4-1-0-1 in the 2018 pre-season after falling to the Moncton Wildcats 7-6 in an eight round shootout on Thursday night at Harbour Station. The first period saw a flurry of goals from both teams. The Wildcats opened the scoring at 2:16 of the first on a snipe from Kyle Foreman past Sea Dogs net minder Tommy Da Silva. Moncton made it 2-0 at 4:47 when Adam Capannelli tapped in a rebound for his first of the pre-season. The Sea Dogs responded to make it 2-1 when Maxim Cajkovic scored on a slick feed from rookie Josh Lawrence to beat Francis Leclerc. This got the energy going for the Dogs as they tied it up three minutes later when returning Sea Dog veteran Anthony Boucher blasted his first goal of the pre-season. The Wildcats replied on the power-play with five minutes left in the period to retake the lead 3-2. Shots on goal favored the Wildcats in the period, 13-8. The Sea Dogs opened the scoring in the second frame when Brady Burns fired a wrister from the slot for his second of the pre-season. 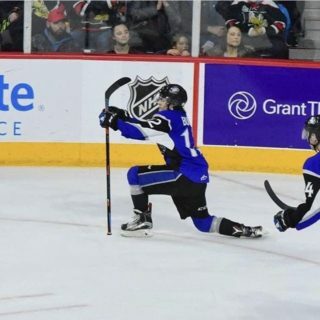 Robbie Burt playing in his first pre-season game of the year then converted on a tight angle shot down the right side just sneaking it between Leclerc and the post to put the Sea Dogs ahead 4-3. This started a series of goals for the Dogs as Kevin Mason then snapped in his second of the pre-season on a feed from Luke Wilson to make it 5-3 Dogs. Leclerc was then pulled from the Moncton net and replaced by Charles-Antoine Lavallee. Just 38 seconds later Slovakian sniper Maxim Cajkovic scored his second of the game on a breakaway, blasting it over the blocker of Lavallee, making it 6-3 Sea Dogs. The action didn’t stop there as Robbie Burt and Sean Stewart dropped the gloves just in front of the penalty box with 1:31 to go in the period. Shots on goal in the period favored the Sea Dogs, 11-9. The third period saw Moncton come out swinging thanks to quick back-to-back goals from Adam Capannelli and Dylan Seitz just 16 seconds apart, closing the lead to 6-5 Sea Dogs. Stewart Bagnell took over goaltender duties from Tommy Da Silva. Saint John survived penalty trouble mid-way through the third thanks to some timely saves from a fresh Bagnell. New Sea Dog James White had a short-handed breakaway but was unable to beat Lavallee as the string of penalties ended for Saint John. 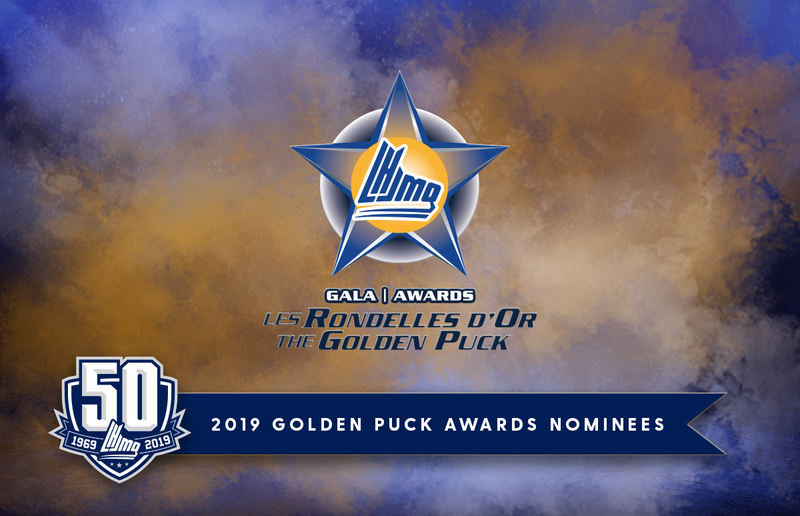 Moncton then pulled Lavallee for the extra skater at 17:30 of the period and scored 1:45 later to tie the game 6-6 on a tip-in from Brady Pataki, sending the game to overtime. 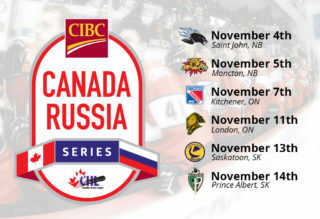 Shots on goal in the period were 12-6 Moncton. Overtime saw chances from both sides including a game saving sprawl from Lavallee stopping Brady Burns on the doorstep. Kevin Mason had some nifty moves to cut into the slot but was again stopped by Lavallee. Overtime ended with Moncton leading shots on goal, 35-27. The shootout was scoreless heading into the 3rd round when Kevin Mason snapped one high and under the post to put the Dogs ahead 1-0. Jacob Hudson then tied it up for Moncton slipping it past Bagnell. Brady Burns retook the lead for the Dogs with a trickle shot through the five hole of Lavallee. 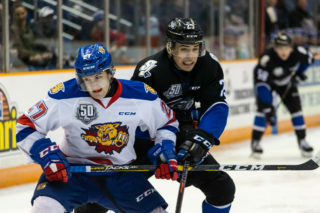 Moncton again returned the favor on a goal from Elliot Desnoyers. 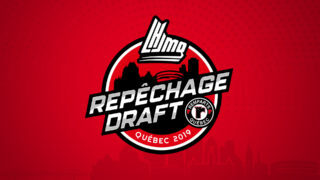 Jeremie Jacob, Robbie Burt, Josh Lawrence and Jeremie Poirier were then denied on their chances, while Bagnell turned away shots from Nicolas Kingsbury-Fournier, Pataki and Seitz before Tristan DeJong went high glove beating Bagnell for the shootout win in the 8th round.